– Extract from ‘Indian Culture: Its Timeless Appeal and Ageless Charm‘ – The Vedanta Kesari 2012 December Special Issue, p499. Bharatiya adhyatmik aitihyar sarsankshep (or Essentials of Spiritual Heritage of India) is a two-year certificate course (in Bengali) that covers Indian scriptures, ancient and modern. Every year there are 80 days of classes on Saturdays and Sundays. The classes are held from 3.15 pm to 5.45 pm, with a short break. The talks are delivered in Bengali, but the handouts of the course material are given in English. The answers in the exams can be written in English/Bengali/Hindi. The Scriptures and topics covered in the course are listed below. An overview of the course, covering all these books, is presented in the beginning of the year, and then 2-3 Scriptures are covered each year. The classes are held in such a way as to present before the students the entire spiritual history of India. Most of these Scriptures are covered fully, but the larger ones are covered in part (essentials). 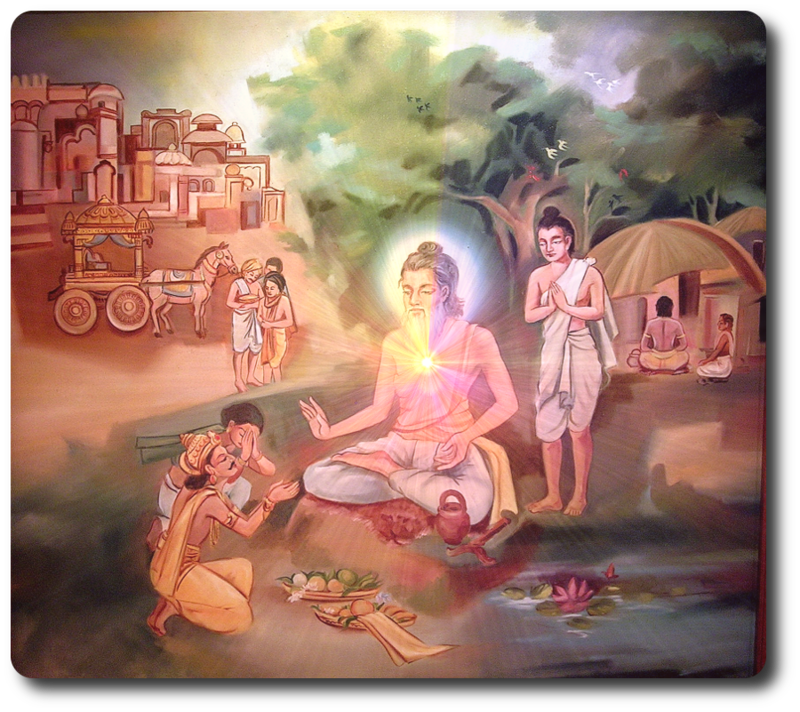 Aspects of Indian Philosophy with emphasis on Acharyas Shankara, Ramanuja, and Madhva. An overview of other major religions in India: Islam, Christianity, Buddhism, Jainism, and Sikhism. Upanishadic Sages: Yajnavalkya, Satyakama, Svetaketu, etc. Sri Rama Sages: Tulasidas, Tyagaraja, etc. Vidura Neeti, Sanat Sujateeya, etc. Mahabharata Sages: Vyasa, Vishwamitra, Shukadeva, Ashtavakra, Dattatreya, etc. Sri Krishna Sages: Surdas, Mirabai, etc.